The week of February 19th through 22nd McKenzie will be kicking off its second annual RED Week! What is RED Week might you ask? 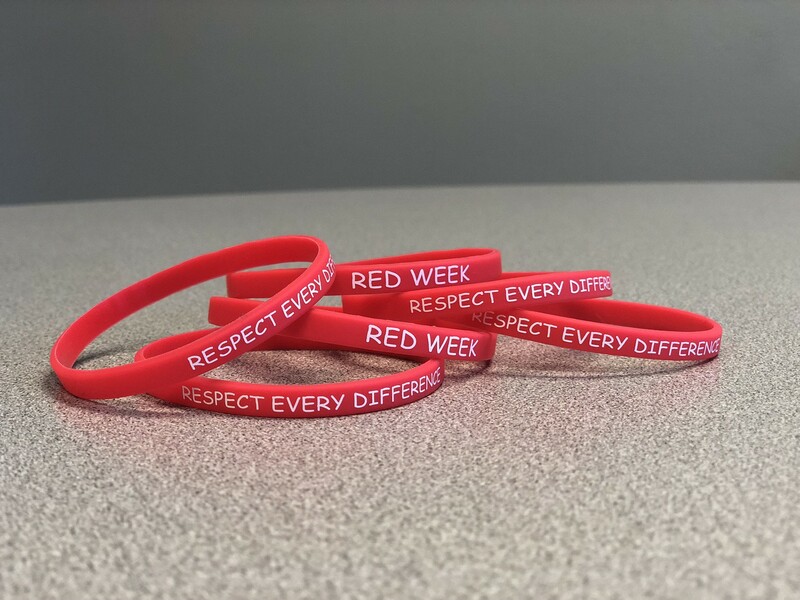 RED Week stands for Respect Every Difference, as a means to educate our students on various learning and communication disabilities. Each grade level will participate in an interactive activity that allows students to learn and even experience some of these learning challenges first-hand. 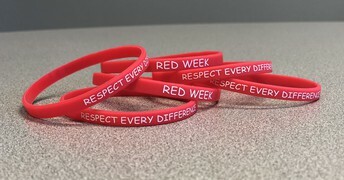 The PTA has graciously purchased RED Week wristbands for students to wear in order to support the program. Students and staff are also encouraged to wear the color red throughout the week as another way to show awareness and support. 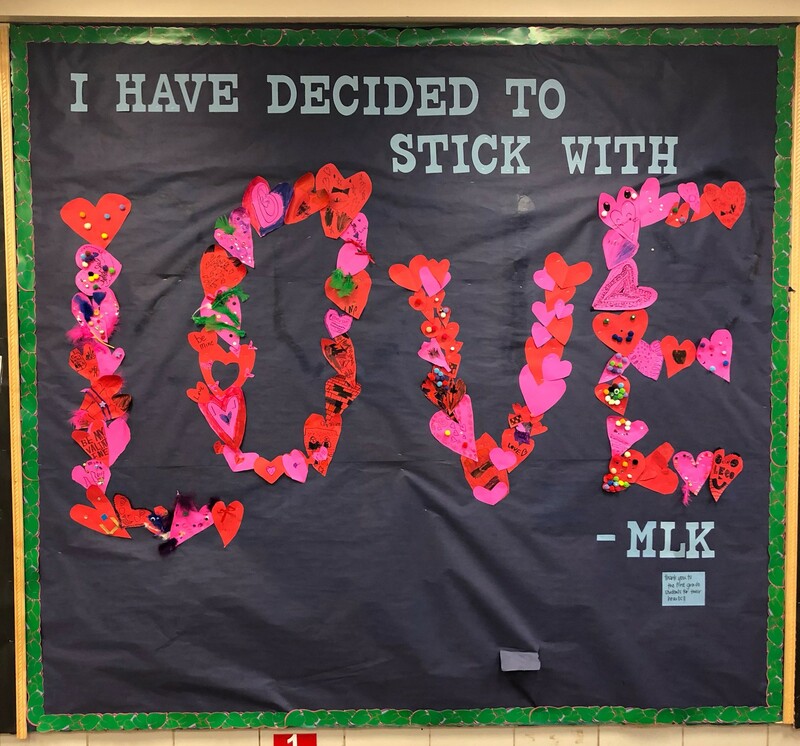 Additionally, classes will be able to visit the RED Week bulletin board throughout the week, where students will be able to see all students’ hand cut-outs as a sign of unity! 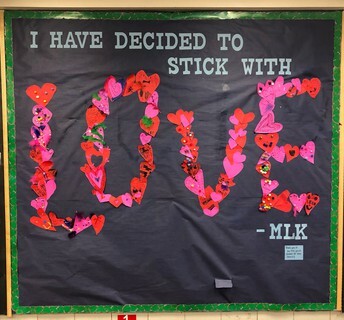 This is another activity for students to feel connected to one another, and spread kindness and acceptance. Finally, our week will end with an assembly led by Victor Pacini. Victor is a charismatic children’s public speaker. He is creating a unique program for McKenzie that will include content related to being kind, respecting others, and embracing our differences. Our assembly will be based off of his Kindness Challenge and One Song programs. CLICK HERE for a list of resources on various learning challenges that families can read, learn, and share with their students at home as well! McKenzie staff is very excited to demonstrate our unity and acceptance of all learning differences, and to provide our students with a meaningful experience. Lost and Found items will be donated on February 22nd. Please be sure to remind your child(ren) to continue to check the Lost and Found if s/he is missing anything. Let's all work together to keep our kids safe! Please remember, if you are driving your child to/from school, you MUST drop-off/pick-up at the front of the building ONLY. The back of the building is meant for buses and walkers. Thank you to Kelly Warner and Sarah Black for yet another amazing bulletin board! Girls on the Run: We've reached our 15-girl maximum registration for our team. However, if one other parent can join us in coaching, we can add 5 more girls to the team. If you'd still like to register, please do so, as Girls on the Run will keep a wait list for us. To find out more info or to register click here. Open Gym Nights at McKenzie: Does your family need an evening to escape the cold and burn off some “snow bound” energy? Come to Open Gym Night from 6-8 pm on: Mondays: 02/11 and 02/25/19. This is a family event – parents MUST attend with their children - this is NOT a drop off event. More information and the student participation waiver can be found here. Can’t wait to see you at Open Gym Night! Girls on the Run: We currently have enough space for 15 girls. If we can get an additional parent to volunteer to coach, we can expand the team to 20 girls. If you are interested in volunteering, please let us know! D39 Educational Foundation: Attention science lovers! Come learn about an exciting Science enrichment opportunity for 5th-8th graders in our community! The D39 Educational Foundation invites you to attend the Science Olympiad Open House on Saturday, February 23rd in the WJHS cafeteria from 9-10 am. Students and instructors from courses like Disease Detectives, Mystery Architecture, Circuit Lab and Roller Coasters will be there to showcase their creations and talk about the program. Bingo Night: B-I-N-G-O! Enjoy a night of family fun at D39 Education Foundation's Annual Family Bingo Night on Friday, March 1st at the Highcrest Middle School cafeteria! Doors open at 6 pm and the event runs from 6:30-8 pm. This is not a drop-off event. Children under 12 must be accompanied by an adult. Proceeds fund school district Gripp Grants. Sign up here. Family Action Network (FAN) hosts two speakers, W. Thomas Boyce, MD on February 19 & 20 and Dr. Zhao on February 21st at New Trier Cornog Auditorium. Free CEUs for educators and open to the public. Wilmette Public Library hosts Maker Fest on February 23rd, 10:30-2:30. New Trier’s Student Dance Company presents “Kinesis Kids Dance Concert”. An interactive show for children ages 3-11 on February 9th. Wilmette Baseball Association has opened registration for spring leagues. Wilmette Historical Museum hosts “Meet the Lincolns” February 17th and "Design Your Dream Home" on March 17th. 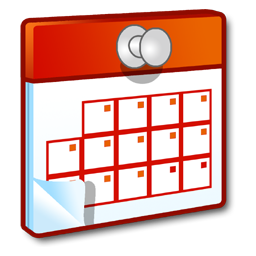 The Center Fitness Club schedule and various park district classes for children ages 3-14 are posted. Trevian Girls Softball Association hosts fastpitch softball clinics/evaluations for girls ages 9-10. 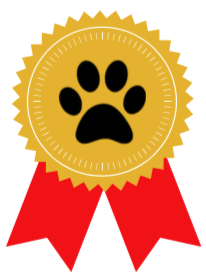 If you would like your child to submit their artwork to Google, a parent/guardian signature is required in order for McKenzie to submit it on your child’s behalf. Please note, only one entry per child is allowed. Parents are able to submit their own child’s work online or students may return them to Mrs. Garry or Ms. Lawniczak on or before March 8th. Doodles are meant to surprise and delight people when they visit Google.com. Past Doodles have celebrated some of the most brilliant, talented, and passionate people throughout history. 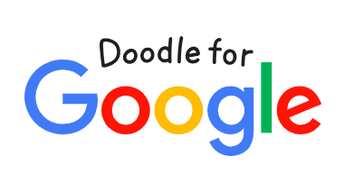 Doodle for Google offers students K-12 an opportunity to display their own artwork on Google.com. For more information please visit Google’s How it Works page. RED Week - Wear Red! Student drop off will begin at 8:20am, and the first bell will ring at 8:30am. Please refer to McKenzie's calendar for important dates/holidays.